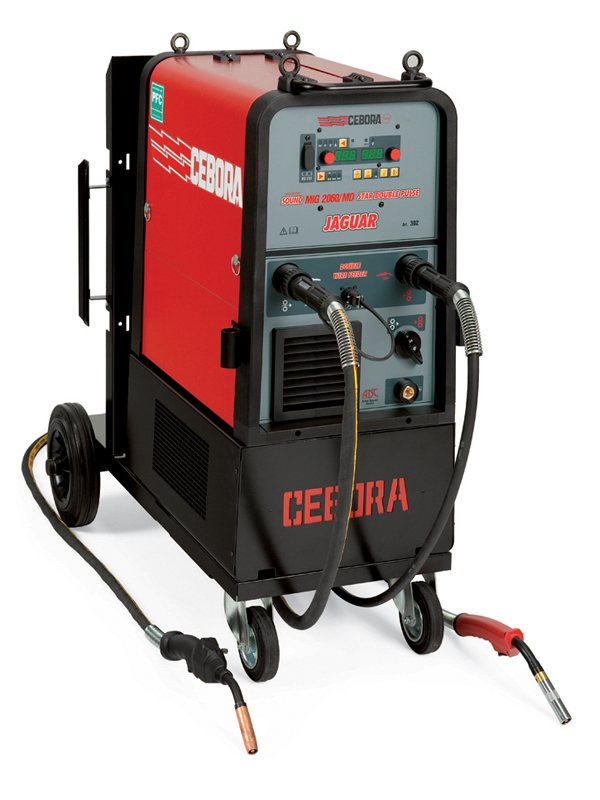 •Pre-set welding programs for easy set up. •Minimize burn-through when welding on very thin aluminum. •Double pulse feature vital for aluminum welding. •Download program updates to keep your welder current to the newest welding programs. •Mig brazing for galvanized steel. •Output power 15-200 amps, 60% duty cycle at 200 amps, and 100% at 160 amps. •Weight 165 lbs. mounted on heavy duty casters. • No bulky spool-gun. Wire feed motor built into hand grip. • Control the current up or down from the handle. On the fly. • Feeds all solid wires with diameter of 0.6, 0.8 and 1.0. • Especially suited for aluminum welding. 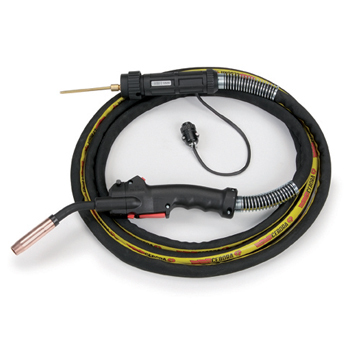 • 280 amps- 9 ft. – steel liner, ergonomic handle, Euro quick connect. 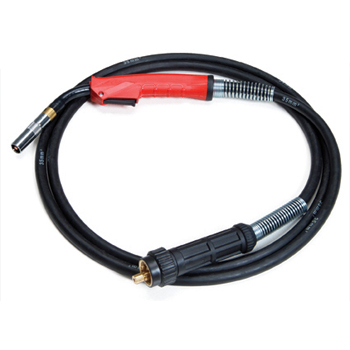 • 280 amps- 9 ft.- steel liner, ergonomic handle, Euro quick connect. 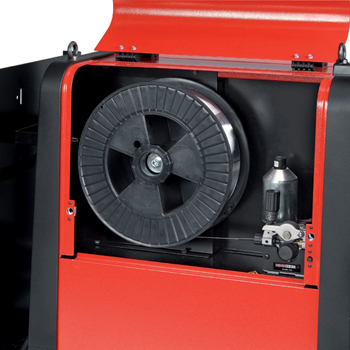 • Capacity 180 amp with CO2, 150amp mixed gases. • Weight : 32.2 oz.